Our kits are tested extensively to ensure they are of the highest quality and the bulbs produce the best possible light output. HID Kit Benefits Luxury look, you know you're guilty of this one; nothing beats that nice HID look. Honda Civic FN2 ERROR FREE H7 XENON HID LIGHTS KIT. Our kits are tested extensively to ensure they are of the highest quality and the bulbs produce the best possible light output. HID Kit Benefits . 2x 35W H4 Bulbs (Xenon Gas Filled). 6000K Colour Temp. This is a CompleteH4 35wHID XENON conversion kit. HONDA CIVIC 1987-2004. Why Upgrade To HID Lights?. Complete kit includes. 12 Months Warranty. Ce Certified & E-Marked. 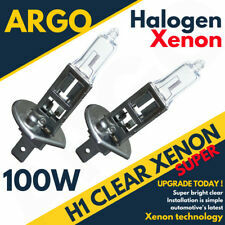 This is for a PAIR of H1 HID bulb holders to convert you car from halogen to HID. 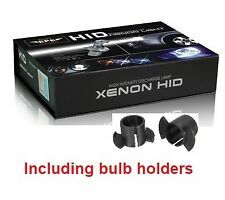 H1 HID Bulb Holders (PAIR). You will need a H1 HID kit. These are to allow you to fit a H1 HID bulb into your standard headlight housing. 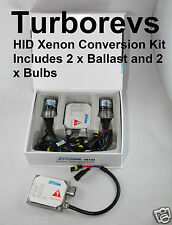 New Turborevs H7 HID Xenon Conversion kit fits Honda Civic (2006 - onwards). Our HID conversion systems are suitable for use on dipped or high beam applications. 300% brighter than the average equivalent 60 watt halogen lighting. Used still good condition fully working. HID XENON LIGHTS CONVERSION KIT FOR EP3 CIVIC TYPE R / TYPE S Only - H1 INC BULB HOLDERS. All our HID upgrade kits are designed and manufactured to the highest quality and the components are tested thoroughly to ensure a very low failure rate. Wide Range Of BRAND NEW H7 HID Conversion Kits! 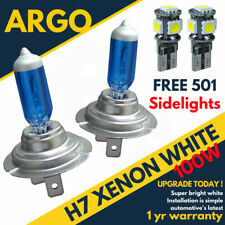 H7 35W HID xENON KIT 6000K. H7 35W HID Xenon Kit 6000K. 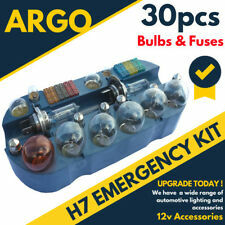 For use with all Cars that Use H7 Bulbs. 2x H7 Hid Bulbs. P Out 35W Norm. 2x 35W Slim Ballasts. Plug & Play Installation. Easy Installation: Simple Plug & Play Process. Most Advanced Canbus System - Eliminates All Types Of Errors. 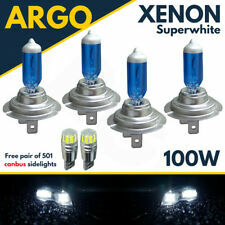 For use with all cars that are compatible with H4 Bulbs. Built in micro processors, compared to other HID Kits this one doesn't Fail. It has the least defective rate and is one of the best HID Kits in the market. New Turborevs H4 HID BI-Xenon Conversion kit. This is a bi-xenon conversion kit so both high and low beams are xenon. Our HID conversion systems are suitable for use on dipped AND high beam applications. Headlight bulb type: H1. Can be installed anywhere that takes the H1 fitting: Headlights (Main or dipped beams), fog lights. The xenon gas allows the bulbs to run considerably longer than standard halogen bulbs. 2x H1 Honda HID Bulb Holders. 2x H1 Honda TYPE R / S HID Holders. These holders are also compatible with all Honda Civics thats use H1 Beam. This is a pair of H1 bulb holders/adapters that are compatible with Honda Type R & S.
FREE 501 Sidelight Bulbs Included. Available in H1, H3, H7, H8, H11, HB4, and H4. New Turborevs HID Xenon Conversion kit. Our kits are suitable to use on headlight dipped beam, or high beam or fog lights. The harness is used for connecting H4 hi/low beam. Compatible with all H4 Hid Kits. H4-3 HID KIT RELAY HARNESS. H4-3 Hid Relay Harness. This Relay Harness connects to the exiting Hid ballasts & Bulbs. 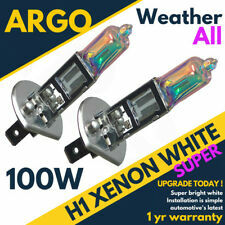 H1 XENON BULBS 55W. DIPPED BEAM 12V 55W HEADLIGHT HEADLAMP HID LIGHT x 2. These bulbs Ultra Power Bulbs are filled with Xenon gas which burns producing an intense bright white light. You will not be disapointed in the quality and overall appearance of these bulbs. 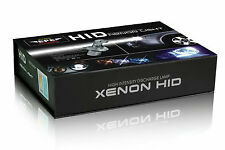 HID Xenon Light Kit H11 6000K. Plug and Play - no cutting off wires or soldering. Key Features. Very easy to install slim ballast. Excludes scottish highlands, ireland & northern ireland. Can be installed anywhere that takes the 501 fitting: Sidelight, interior, number plate etc. Also known as T10, W5W, 194, 168, wedge fitting. Technology: Cree. SMD crystal lens technology. Beam pattern: 180°. H8 white 100w bulbs. Can be installed anywhere that takes the above fitting: Headlights (Main or dipped beams), fog lights. 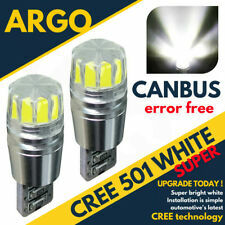 Also included is a FREE set of 501 canbus 5 SMD white bulbs. Note, free bulbs also subject to availability & may change. Headlight bulb type: H1. Can be installed anywhere that takes the H1 fitting: Headlights (Main or dipped beams), fog lights etc. Also included is a FREE set of 501 LED blue bulbs. Note, free bulbs are non-canbus so a load resistor may be required if you have the canbus system to prevent any repeat flickering or dashboard errors & are also subject to availability & may change.